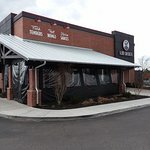 There aren't enough food, service, value or atmosphere ratings for Slim Chickens, Tennessee yet. Be one of the first to write a review! 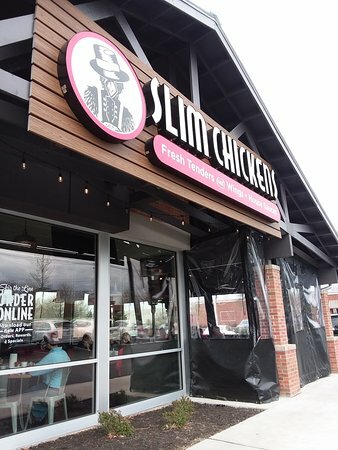 Slim Chickens fills you up! Huge variety of sauces for dipping chicken. Very limited menu, but tasty. Wings and tenders with a few sides. Not a real dinner place. Mostly quick lunch or meal place. Quick service. Wife and I decided to try it. Strips are very good. Good service. I got chicken and waffle. First time ever trying it anywhere. I’ll order it again for sure. Nice to have another good place to eat here. You should try it. 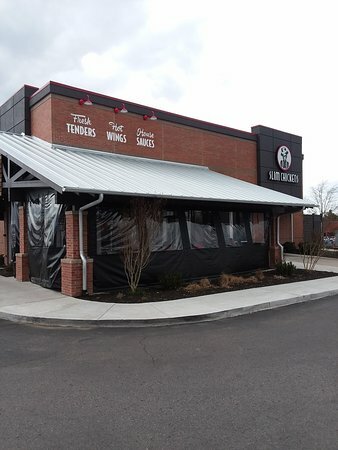 Looking for tasty chicken strips and/or wings, this is the place for you. Great food and great service. Order online, eat in, or drive thru available. 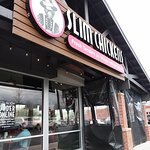 Get quick answers from Slim Chickens staff and past visitors.